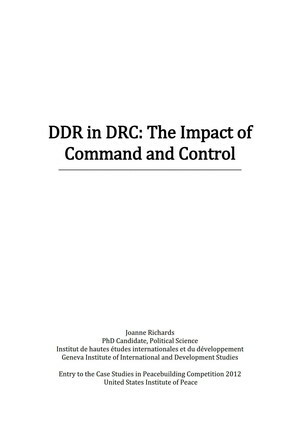 BICC Publications/DDR in the DRC: The Impact of Command and Control. You are here: Home » Publications » DDR in the DRC: The Impact of Command and Control. DDR in the DRC: The Impact of Command and Control.